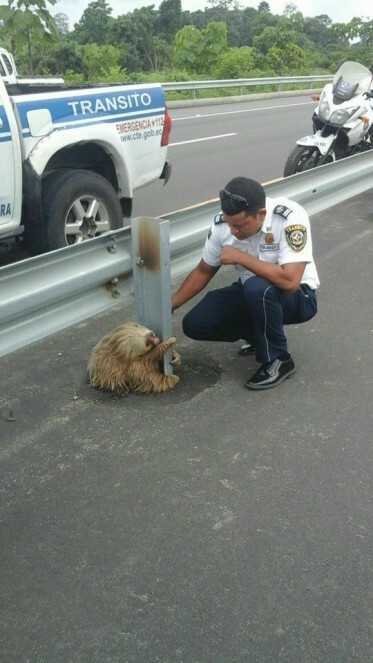 On Friday January 22nd, commuters in Los Rios, Ecuador were surprised to find out that a wayward sloth was attempting to cross the busy road. Sloths beings sloths, however, meant that the adorable creature was moving very slowly and unfortunately got stuck at the median. 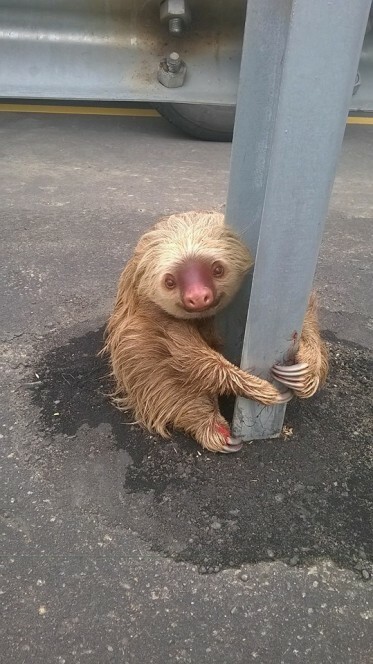 The Transit Commission of Ecuador became involved and was able to rescue the sloth. After a visit to the veterinarian, the capricious tree-dweller was returned back to its rightful habitat. (translated from Spanish) Thank you all for your concern. We inform you that the sloth rescued by our soldiers was checked by a vet, who determined that it was in optimal conditions for return to his habitat. Thankfully we have all these people who were interested in the health of the animal. We continue to support these type of cases with the cooperation of the citizens.